Tero Karvinen teaches all classes in Haaga-Helia Pasila h5001, Mondays 08:00 – 11:45. More material on course Moodle page (login required). Course starts on the first day of 4th period, w34 Monday 2011-08-22. Course ends at the exam in the end of the 4th period. Here is my report on how to create a linux live USB and how to test it. It was a nice course. I’ve learned to use SSH and Apache2 server. I really liked this course. Unfortunatly I could’t submit in time everything into exam feedback. The course was good and intresting, but assignments were largish: I never got to extra assignments and missed the deadline on few assignments. The test was also a bit tight for time: I never got the firewall up. All in all: good course, nice teaching. I am really like the course, and i find it useful for later at work or my own project. i did not have any knowledge about linux but now i got an idea which help me to learn much more in future.Yes it is usefull for me.Yes i will recommend my friends . This course is interesting and contains a lot of useful information. There is no changes need to be done, only more practice is needed from the student. From my point of view, I haven t made enough effort for self studying; this course requires a lot of self studying. Admin edit: Moved to correct page. This course was great! Although I had been using Linux before I started and because of that I knew things, my work with it was mostly in GUI and if I was using any command, I did not have a clue what that exactly does. From Tero´s course I have got complex basics and the work with Linux feels more natural for me (I abolished MS Wirus software long time ago and after this course I know I am not coming back to this..”lock-down thing”) . Tero is funny and smart. His jokes created good atmosphere. From other courses I know what hell it can be if teacher does not know how to teach.Tero certainly does. I can only recommend this course to anybody who wants to learn with Linux (to learn alone is a good things, but without basics and awareness what one is doing and where to begin from, it is hard). I hope there might be other courses for advanced users. I have learned also about Free software philosophy, which gives me feeling to be part of something special, whenever I am using Linux. I hope I will develop my skills with Linux enough to contribute to the community of Free software. However either there is another advanced course or not, Linux Basics gave me really the basics, which I can develop on my own. Thank you Tero, this was not a waste my time at all!!! Yes. Coming into this course, I knew absolutely nothing about Ubuntu. Leaving this course, I have some basic understanding about Ubuntu, but am still a bit lost on certain aspects. Overall though, I did learn something from the course. Is it usefull to you? It was very informative. However, because programming is not my thing, I do not see myself ever actually installing Ubuntu onto my computer and using it. However, if I ever plan on playing with Ubuntu, I still have my live CD. How do you plan to use your skills after the course? As stated in the previous question, if I ever plan to use Ubuntu, it will be via the live CD. The course was fine the way it was. No improvements necessary. I thought the test was ok. Had some issues here and there, and definitely do not expect full points on the exam, but I honestly cannot see myself failing, either. Would you recommend this course to your friends or collegues? Overall The course was good, I study quite much things in this course. Teacher went quite deeply in solving problems and explain the log file . The test was not so difficult as I can use help. But I got a error when encode the hoem directory when installing Linux. It made me can’t publish the web_page, and took me nearly 2 hours to know the error.After that, the remaining is easy. If any friend want to study more, this and SAP course would be my recommendation. I think your course was very educative and I have learned very much from it, really not sure if there is anything to improve. Right now I’m a little disappointed at myself after the exam (at home it worked like a charm but at the exam not so much etc) but I’m happy that I took this course and I might see you in a re-exam. I’m going to look more into linux at home and if I have more spare time someday I’d like to take an advanced linux course. For now I’d like to thank you and wish you all the best. It was a good and interesting course. But I might not like all of your teaching methods, for example I think it was really hard to get _help_ sometimes. Test was okay, not too hard. Overall I did learn lot of stuff and I am more interested about the “linux-world” now that I was before. Even though I had some linux experience from before, I learned a lot during the course. I like to experiment with linux and sometimes I can skip very essential bits of information when I just want to get certain things done quickly. This course patched up those holes in information when it comes to basic and often extremely important knowledge. The information and skills learned during the course are such that they can and will be implemented very often, in my case, almost everyday. I’m going to keep working on my hobby server with my newly updated skill set. I think the course structure is very good as it is now. What I found nice was that complete starters and students with a little more knowledge about linux where able to learn together. I think most people kept up with the learning speed and nobody was bored. The test was a lot of fun, I think it was the perfect solution for measuring our skills and keep the task interesting as well. I’m going to recommend this course to my fellow students and friends, in fact I already have. hei Tero, this is Omar. I wan to tell tell you that the course was very much useful. I did now have idea related to apache and all the services that Linux offers. this course has been a very good presentation of this product and its possibles uses. something that I find very good, is the use of the terminal interface, not commonly use these days. regarding to the course during the class , i have to say that i would be good not to get into very much dateless, too much information and specially the small one it does not help our learning process, lets keep it simple at the beginning. 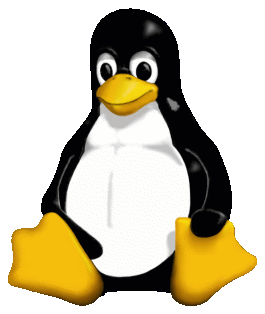 The course brought some new information about Linux. Good course over all, the one thing i may want to complain a little is the, too long sometimes, off-topic or too complicated discussions. Otherwise Linux is an awesome platform and after this course i may give it more attention, maybe even give up Windows in the near future. The test was not bad. It included all we went through in class plus we had access to the Internet for more information. Maybe an advanced course in the future would work out nice.